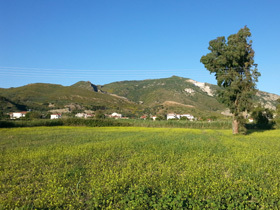 Separated from Laganas by a huge pine wood, Kalamaki develops almost entirely along the main street; recent hotels and restaurants, perfectly integrated with the surrounding countryside, offer the tourist all the possible facilities. In the last years also many snack bars and souvenirs shops were born always respecting the natural environment and the close beach that being the extension of the one of Laganas it is protected too by the rules of the Marine Park. It is a beach of fine sand very crowded in the first part, the one close to the trees but it is worth at least once to take a walk to the final part of this beach where the mountains dives straight into the sea. In this part in addition to the crystal clear sea and a very warm water it is possible to be alone even in August. In the same way, if you walk on the beach going towards Laganas, when you will be exactly halfway between the two resorts, you will have a pine forest behind, the sea in front of you and few tourists around. Even in this part the access hours are limited because of the turtles presence. 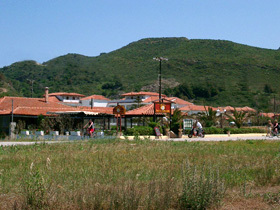 Kalamaki is connected to Zakynthos and Laganas by buses with daily runs. Furthermore it is possible to rent cars, jeeps, motorbikes or bicycles to move around the island. Most of the shops of Kalamaki are on the main road and there are: supermarkets, bakeries, shops selling souvenirs, clothing, traditional products, jewelry and more. At night after having chosen among numerous typical taverns with international cuisine or fast food you can enjoy a drink in one of the many pubs full of tourists where music is played till late at night. The pubs are very well looked after from the aesthetic point of view to attract the tourist. 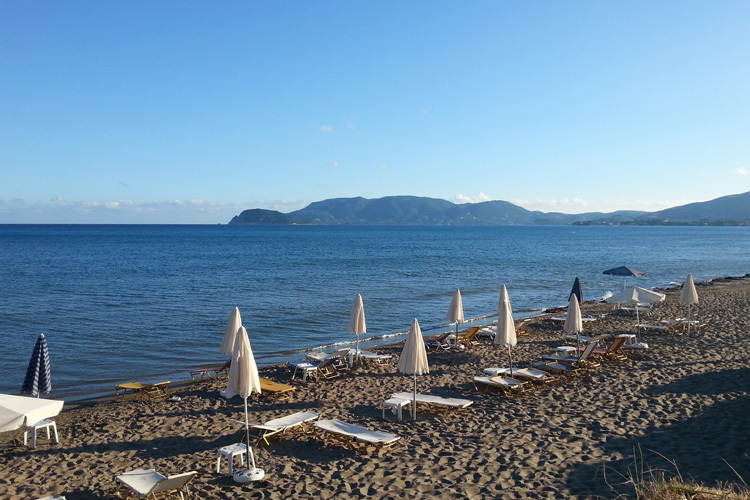 There are no nightclubs in Kalamaki but you will find them in Laganas which is only 3 km away. Kalamaki is a town of small dimensions offering different lodge solutions such as hotels, studios, apartments and residence of every kind and need. There are quieter areas and other in the middle of the enjoyments, so you will have the opportunity to choose the better location for your holiday.